As a PhD student having taught the Economics Introductory Statistics at Queen’s a few times, I get the occasional solicitation by publishers, sometimes sending me free textbooks in the hopes that I will assign them to my class. Far more than all publisher contact combined, however, is the relentless unsolicited attempts to “connect” with me from a company called Top Hat, who has a software service that will solve many, if not all, of the challenges of teaching. Sounds wonderful, right? Read on for why I think Top Hat in a terrible idea for education, both with objections to the general pedagogical technique, but also with strong objections to how Top Hat conducts its business. This post has been coming for a while—a commented photographic detail of my boat reconstruction project, that I first conceived of and wrote about just over a year ago. Read that post first! What started out as a project to “repair and repaint” essentially became a project to rebuild the boat from its guts. 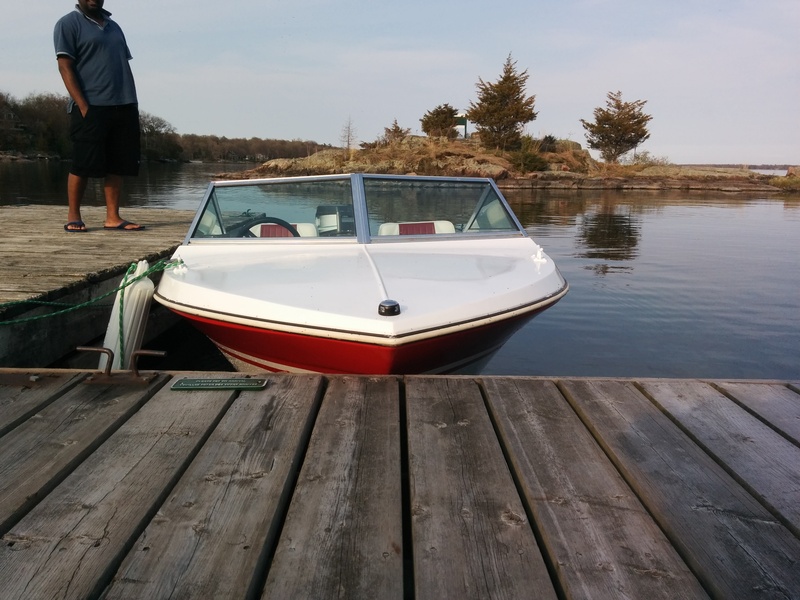 The project took about a month from the time the motor came off until it was seaworthy again—though even then it was still in rough shape, without carpeting, electrical systems, or a completed paint job. Finally finishing it took another couple of months in the evenings and weekends of last fall. In the last week, two people, for entirely unrelated reasons, have asked me about how to do some basic computing tasks over SSH: connecting, checking which machines are in use, etc., so I thought I’d summarize my setup for connecting to the QED computers here so that next time it happens, I have somewhere to point. 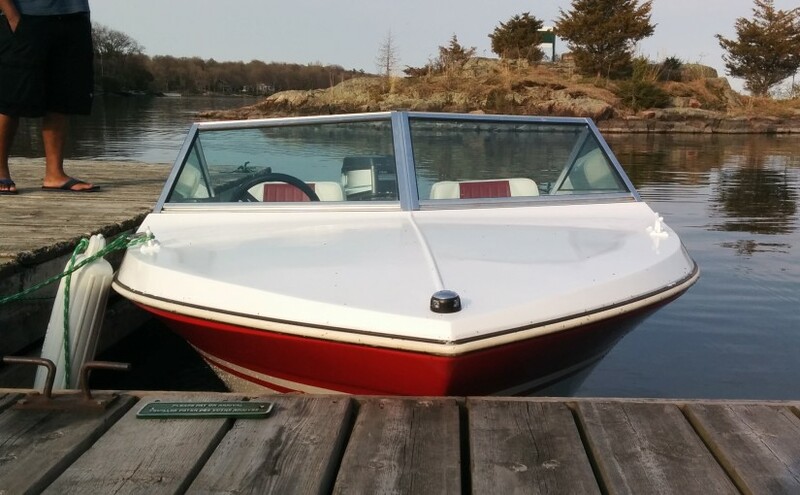 It’s time for my summer boat fixup plans! 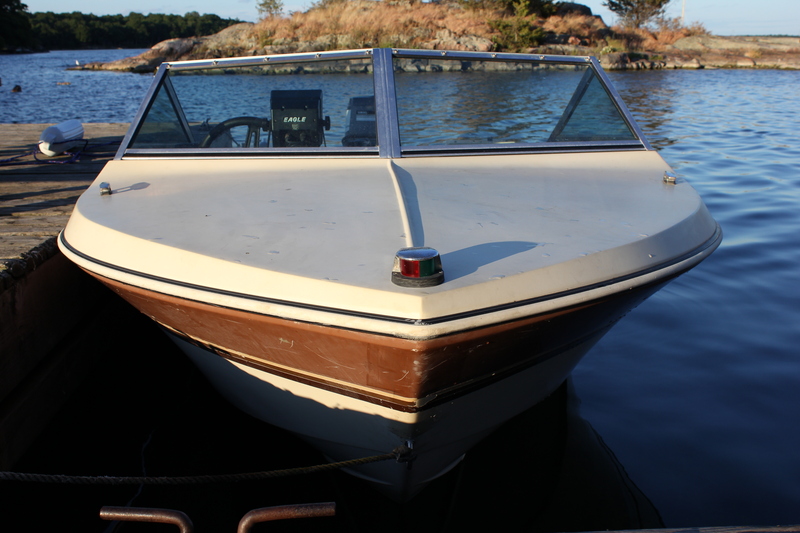 Podnocker (my boat) needs some fairly major repairs, and in the process, will get a redesign. I plan to do all of this sometime in August; thoughts on the job below. As a professor of mathematics (as well as economics), I appreciate the beauty of classical mathematics. However, constructive mathematics is also beautiful and, in my opinion, the right kind of mathematics for economists and other social scientists. Constructive mathematics differs from classical mathematics in its strict interpretation of the phrase “there exists” to mean “one can construct.” Constructive proofs are algorithms that can, in principle, be recast as computer programs. To master a general programming language is to acquire a form of mathematical skill every bit as aesthetically pleasing, powerful, and practical as the differential calculus. Indeed, for economic purposes, computer programming is in some ways more powerful in that it facilitates the modeling of complex interactive processes involving kinks, jumps, and other forms of discreteness imposed or induced by empirical constraints. Consequently, programming frees us to adapt the tool to the problem rather than the problem to the tool. Every graduate economics program should incorporate general programming language requirements. It is time. (Emphasis mine). This is what I’m trying to do, and trying to encourage others to at least accept, but it seems an uphill battle. I had my first direct experience with Kingston’s legendary bike theft this morning, when I went to unlock my bike to ride to my office. The lock was a mess: the plastic sheath around the lock was in tatters, and there were numerous scrapes and scratches to the lock, and my bike around where the lock was attached. Despite a bit of cosmetic damage, the thief entirely failed to actually steal anything, making me thankful that I decided to spend money on a quality lock. 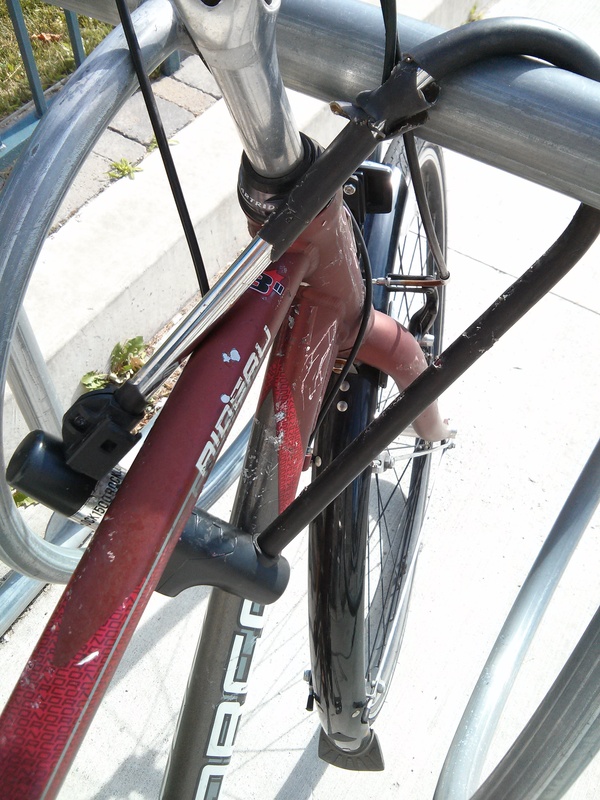 Just for the record, in case anyone needs a bike lock recommendation, I’m very happy with my Bikeguard Rocklock 1500. I only wish the would-be thief had been a little smarter and not bothered at all. But then again, if the would-be thief had been a little smarter, he probably wouldn’t have decided to become a thief at all. To potential new tenants in John Orr Tower (or An Clachan, or other “core” Community Housing properties), I offer this advice: keep looking. You can find a better apartment at a better location at a lower price with a landlord who, unlike Queen’s Community Housing, won’t be able to take advantage of you when it comes time to renew your lease. I’ve been living in John Orr Tower, operated by Queen’s Community Housing, for 2 years, 10 months, and 23 days, as of this post. I’ve served over that period as the building representative for Community Housing, and as such I have some notion of the planning and internal decisions made behind the management of John Orr Tower (and other Community Housing properties). That position carries no actual weight towards any decision—meetings are entirely a one-way source of information from Community Housing to representatives. Up until about a year ago, I was relatively happy living in the building; I have a decent view of Lake Ontario and Wolfe Island, there’s a bus every 15 minutes to main campus, the apartment isn’t too expensive, and the walls are thick so I’m never bothered by neighbours. But during my time here things started changing, in part due to larger Queen’s fiscal problems. Community Housing stopped treating its properties as a benefit to students, and started trying to extract as much money as possible from students, while being as cheap as possible on building repairs and upgrades, lying to tenants (and myself, the “representative”) about changes, and using its status as a university to exploit legal loopholes regarding rent termination and increases. In August, I’ll be moving into a new apartment, with a larger bedroom and two roommates—plus Nibbler and Kallie. The cat tree I have for them (the top half is shown here, brand new) is 2 years old, and not in very good shape: the covering on the top perch has disintegrated, the sisal rope at the base (used often as a scratching post) is coming off, one of the lower perches is broken (my fault). Closer inspection has revealed just how cheaply it was made: particle board, cardboard tubes, poor quality covering. Thus, considering the larger space they (and I) will have in August, I’ve started thinking about building a replacement (possibly for August, maybe a little later). I’ll update this post as I come up with new ideas, perhaps with some pictures as the thing actually takes shape. TWO top perches. Both cats think the top perch is the best place to be, and once one cat gets onto the top, the other is entirely out of luck: attempts to fight up to the top fail. The two perches need to be sufficiently far apart that one cat cannot monopolize both. Raised edges on the top perches. Kallie, in particular, likes to sleep on the top, but I think it’s a little difficult for her to be really comfortable there because of the risk of falling off. Nibbler might like to sleep there, but is just too big to do anything than sit there, awake. A large, heavy base. Once in a while some rambunctious activity results in the current cat tree toppling, crashing into either a bookcase, my dresser, or my laundry basket. The current base is too small, and too light. Soft, but tough carpeting. It needs to be easy to clean/vacuum, and I don’t want it to turn into a disintegrating mess after a year or two. Box at the bottom. The current cat tree has a raised box, with a hole on top and hole at the corner (so the cat can go through it). It’s too small for an adult cat, though; Kallie sometimes dives in after a toy, but it’s too small even for her to lie comfortably in; forget about Nibbler. Both cats (Nibbler especially) enjoy their “cat tube” (see below), and I think would similarly enjoy a proper-sized enclosed space. Having openings at two ends (or maybe top and side, like the current one?) would be good as well. Adjustable perch heights. This depends on how, exactly, I go about attaching it, but is something to keep in mind.